Good news, everyone! 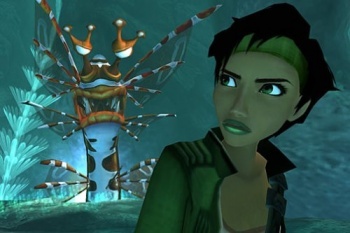 Ubisoft's giving away its wonderful music from Beyond Good & Evil to anyone who wants it. If you've been playing the recently released HD version of Beyond Good & Evil (or played the game when it was originally released), then you've probably noticed that the game features one of the best soundtracks around. It's got a ton of different styles that fit the game's various environments and levels, is generally pretty fun to listen to, and Ubisoft is now offered the album to the public for free. I've actually had the soundtrack on my iPod since the game first came out in 2003, and I still listen to some of its tracks. There's really not much else to say other than you can't lose with this deal, so you might as well check it out. You can download the soundtrack directly from Ubisoft here.